It’s easy to innovate when you’re working with a set formula. Oatmeal has a set formula. 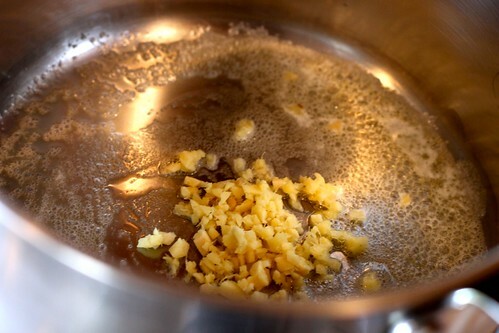 Bring 1 and 3/4 cups water (or milk) to a boil, add a pinch of salt, add your rolled oats, lower to a simmer, stir and cook until your oatmeal’s absorbed most of the liquid. Then sweeten with a little brown sugar, syrup or honey and you’ve got oatmeal. To be honest, I wasn’t sure what that would taste like. I had my doubts. But it was a Sunday morning and what did I have to lose? I sauteed it just until soft and fragrant (but without browning it), then added 1 and 3/4 cups of coconut milk (which, it turns out, is the precise amount you’ll find in one can of coconut milk.) 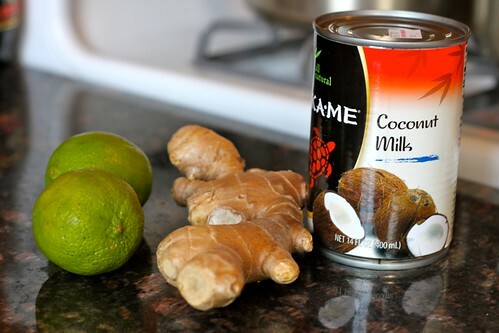 I also added the zest of one lime, a pinch of salt and a shake or two of ground cardamom. When it came to a boil, I added 1 cup of rolled oats and stirred. And you know what? This was fantastic! 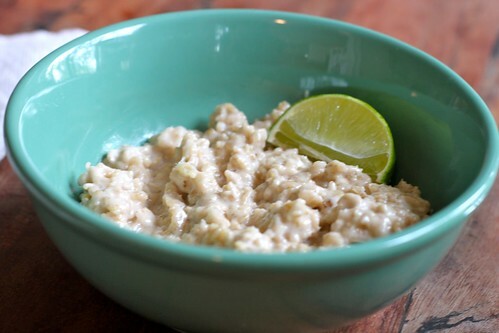 The flavors worked really well together; you had the heat from the ginger, the tropical notes of coconut and lime, and the cozy nuttiness of good old fashioned oats. The wary person that I served this to (that would be Craig) was convinced after one bite: this was good. The lesson is: when there’s a set formula, it’s easy to innovate (that was my first sentence). 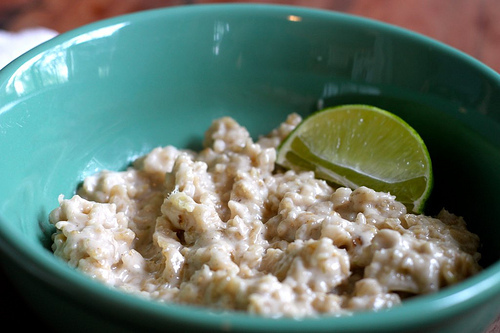 So innovate with oatmeal.